After the success of his independent album As Long As I Have Breath, Worship Leader and singer/ songwriter Jason Whitehorn returns with the release of '(His Name is) JESUS!' at the break of 2019. The new release is a simple, yet powerful song with a four word - and certainly unforgettable chorus. “His Name is ‘Jesus’,” the song exclaims in climax. According to Jason, it is exactly what it was written to do. Jason has been responsible for songs on CCLI such as “Never Alone” and “As Long As I Have Breath”, both songs resonating within the church and radio. 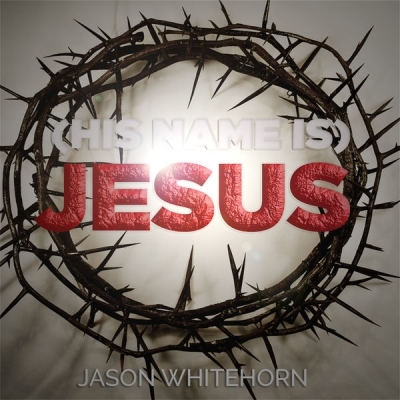 Whitehorn hopes that “(His Name Is) Jesus” becomes more than just an anthem to the churches. “(His Name Is) JESUS!” has a release date for radio of January 18, 2019 for radio and all major music platforms including iTunes, Google Play, Spotify, and Pandora. The song was produced in London, UK by Matt Osgood (worshipsongrecording.com).